Fri., 29 Nov. - Wed., 4 Dec. Thu., 5 Mar. - Sat., 14 Mar. Mon., 12 Aug. - Fri., 16 Aug.
See all 74 properties in Philip S. W. Goldson Intl. Situated in Ladyville, this historic property is within 9 mi (15 km) of Swing Bridge, San Pedro Belize Express Water Taxi Belize City Terminal, and Image Factory Art Foundation. Museum of Belize and Tourism Village are also within 9 mi (15 km). 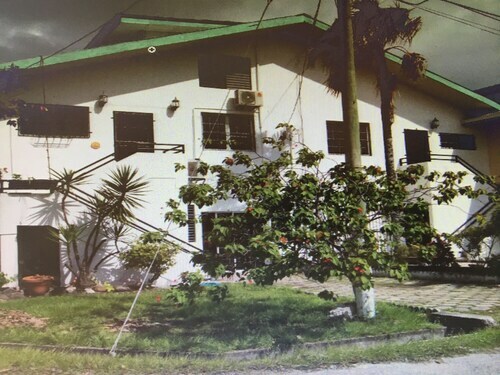 Situated in Ladyville, this apartment building is within 9 mi (15 km) of Swing Bridge, San Pedro Belize Express Water Taxi Belize City Terminal, and Image Factory Art Foundation. Museum of Belize and Tourism Village are also within 9 mi (15 km). Very friendly and helpful staff; good amenities; very handy for the airport. Recommended! Great staff, well maintained property! Free airport shuttle. Would definitely recommend! Situated in Ladyville, this vacation home is within 9 mi (15 km) of Swing Bridge, San Pedro Belize Express Water Taxi Belize City Terminal, and Image Factory Art Foundation. Museum of Belize and St. Mary's Church are also within 9 mi (15 km). 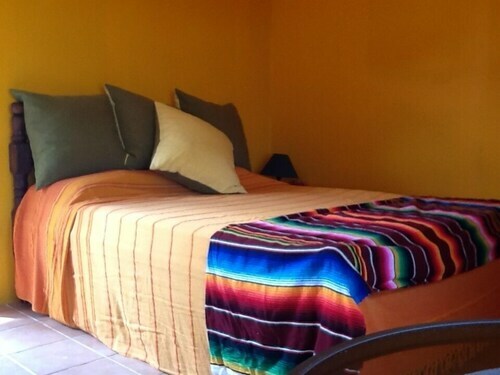 Situated in Ladyville, this historic bed & breakfast is within 9 mi (15 km) of Swing Bridge, San Pedro Belize Express Water Taxi Belize City Terminal, and Image Factory Art Foundation. Museum of Belize and Tourism Village are also within 9 mi (15 km). Question : How much is a plane ticket to Belize City (BZE) from Montreal (YUL)? Answer : Cost can range from $466 to $1,719, prices for YUL to BZE do change more than the majority of routes from Canada. The further out you book, the more likely you are to save on your trip. Question : How much time do people spend in Belize City? Answer : The average time spent sightseeing in Belize City by passengers from Montreal is 11 days. However long you decide to stay, give yourself plenty of time to see what makes Belize City fantastic. Question : What is the cheapest date to fly to Belize City? Answer : As of Apr 22nd, the best day for booking to Belize City (BZE) is Apr 23rd. A ticket for this flight will run you around $466, which is 19% less than the average price to book the same route. Answer : The cheapest day to fly from Montreal to Belize City is on Saturday. So, if you want to save a bit of cash on your next trip look for flights on that day. Answer : Yes, you can change your departure or arrival date. If you want to save a little cash in doing so, the lowest-cost day to fly in May is Saturday. If you like to go with the flow, you may just find that you can pocket some extra cash that you can use for future trips. Question : What is the cheapest airline flying from Montreal to Belize City? Answer : American Airlines strives to keep costs low for travellers over the next three months. Bookings are being made at just $466 and, when compared to the more expensive bookings of $1,719, it's a great bargain.